It is inspiring to be working on behalf of a Foundation that focuses so keenly on the Jewish value that all the People of Israel should receive the Torah together. The Masorti Movement lives this Jewish value every day by proactively reaching out to empower people with disabilities to fully participate in Jewish and Israeli life. With February being Jewish Disability Awareness, Acceptance & Inclusion Month, the Masorti Foundation for Conservative Judaism in Israel will be communicating in the weeks ahead about the Movement’s programs and services that bring joyous, uplifting Jewish social experiences to Israelis of all ages who have disabilities. Bar and Bat Mitzvah Program for Youth with Disabilities offered by Masorti’s Adraba – The Shirley Lowy Center for Children and Youth with Disabilities. 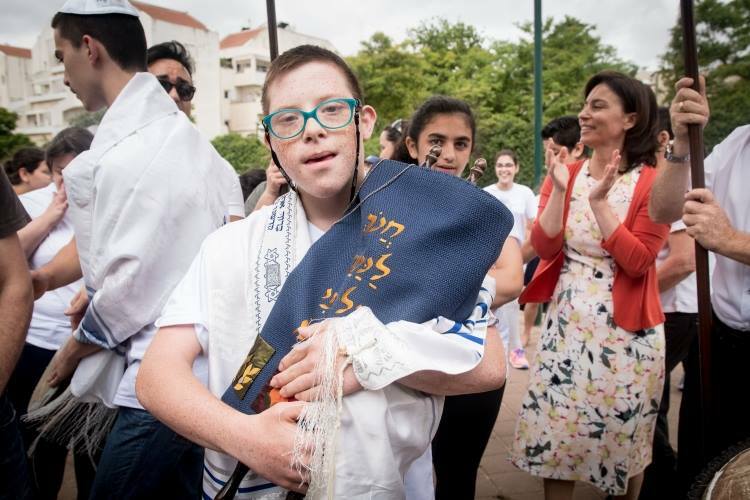 This is Israel’s only national B’nai Mitzvah program for children with disabilities. It is tailored to provide each boy and girl with a meaningful, enriching educational experience during the Bar/Bat Mitzvah year. Thanks to this program, thousands of B’nai Mitzvah students in Special Education schools, and their families have celebrated this meaningful milestone in Jewish life. 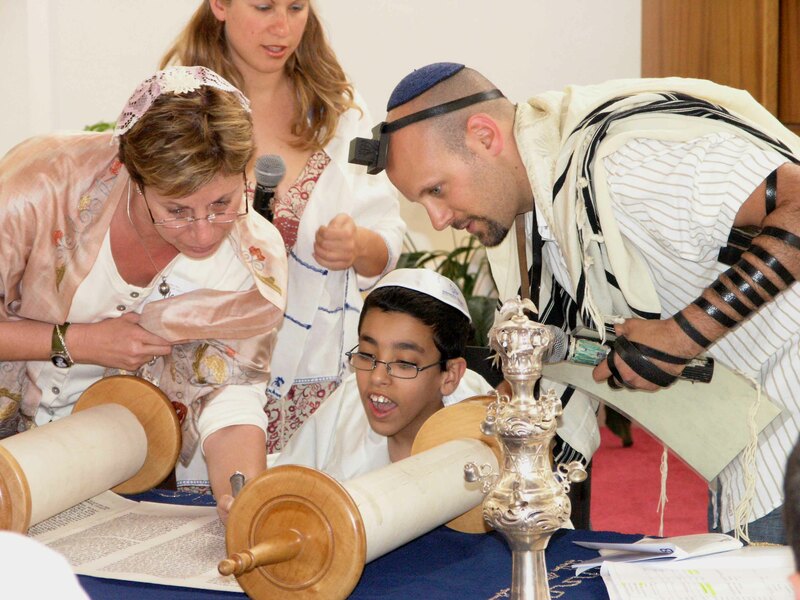 This remarkable and caring program, which is often not endorsed by ultra-Orthodox authorities, includes spiritual care and support services for B’nai Mitzvah parents to help them fully appreciate the wonderful achievement of their child. 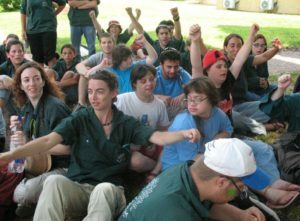 Masorti’s Netaim – Inclusion of Children & Teens with Disabilities program enables children with special needs to actively participate in NOAM Youth Movement activities. Netaim participants attend Ramah-NOAM overnight summer camp that provides children with the opportunity to interact with their peers in a welcoming, egalitarian environment. Be’tzavta provides accessible study groups for people with cognitive disabilities. It’s heart-warming to see groups effectively grappling with Jewish texts, both ancient and modern. This is made possible by often using music, art and theater to bring Jewish texts alive and make them accessible to students with disabilities. Along with supporting these inclusive programs, Masorti Foundation supporters can take great nachas in helping to make possible the first-ever egalitarian siddur for youth with disabilities. 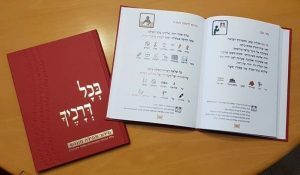 This beautiful prayer book helps all people with disabilities feel more integrated in the religious services offered by the Adraba and Masorti synagogues throughout Israel. In these welcoming and nurturing environments, they are counted as part of the minyan. Throughout Jewish Disability Awareness, Acceptance & Inclusion Month, the Masorti Foundation will continue to highlight how these programs make such a remarkable difference in the lives of people with special needs. 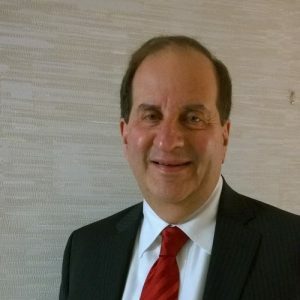 With increased support this year from people throughout the United States who share our vision of a fully #InclusiveIsrael, the Masorti Foundation will be able to fund the Movement’s initiatives to greatly expand the Bar/Bat Mitzvah program and special needs educational/camping frameworks in the next two years. We’ll keep you apprised as this campaign initiative progresses. This is a Masorti Foundation blog by Alan Grossman, Assistant Director of Development for the Masorti Foundation for Conservative Judaism in Israel.